Ecuador! This compact, ecologically diverse beautiful country is truly the gem of South American adventure destinations such as the Amazon jungle, Andean highlands and the wildlife-rich Galápagos Islands. In the Andean foothills at an altitude of 9,350ft/2,850m, Quito, the capital, is known for its largely intact Spanish colonial center. 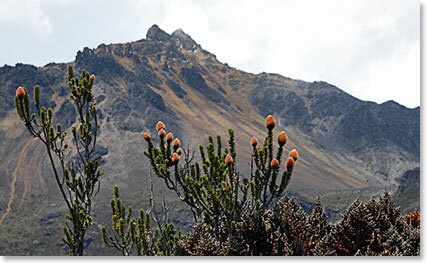 On this expedition our team will attempt to climb three of the magnificent volcanoes of Ecuador: Guagua Pichincha, Fuya Fuya and Illiniza Norte. Tune in to our daily dispatches as we report our experiences along the way.